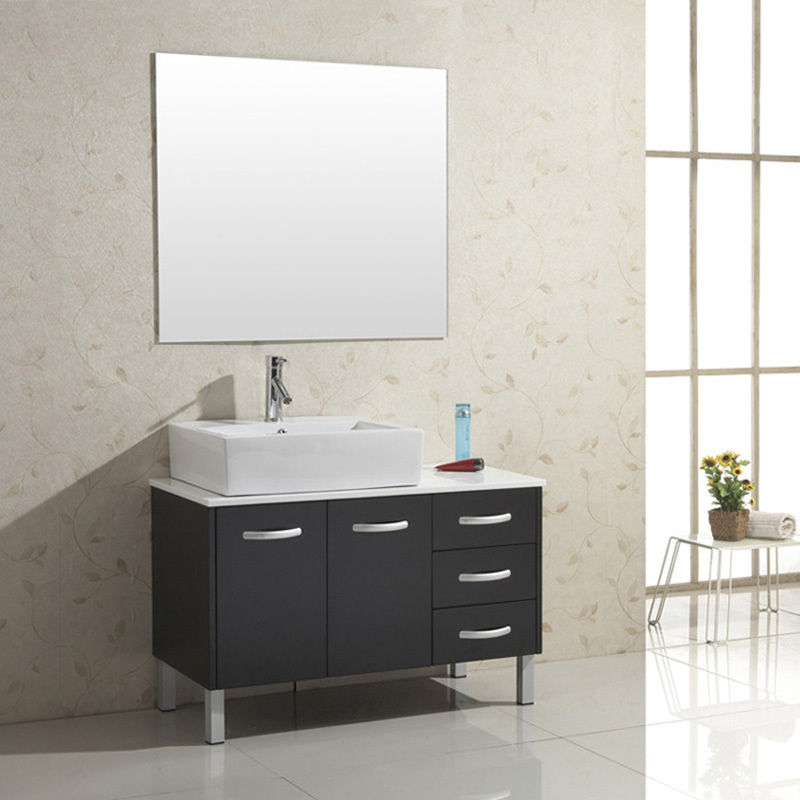 The 39.5" Tilda Single Bath Vanity features clean, modern lines, a matching mirror, and a contrasting ceramic basin to add visual appeal to any bathroom. 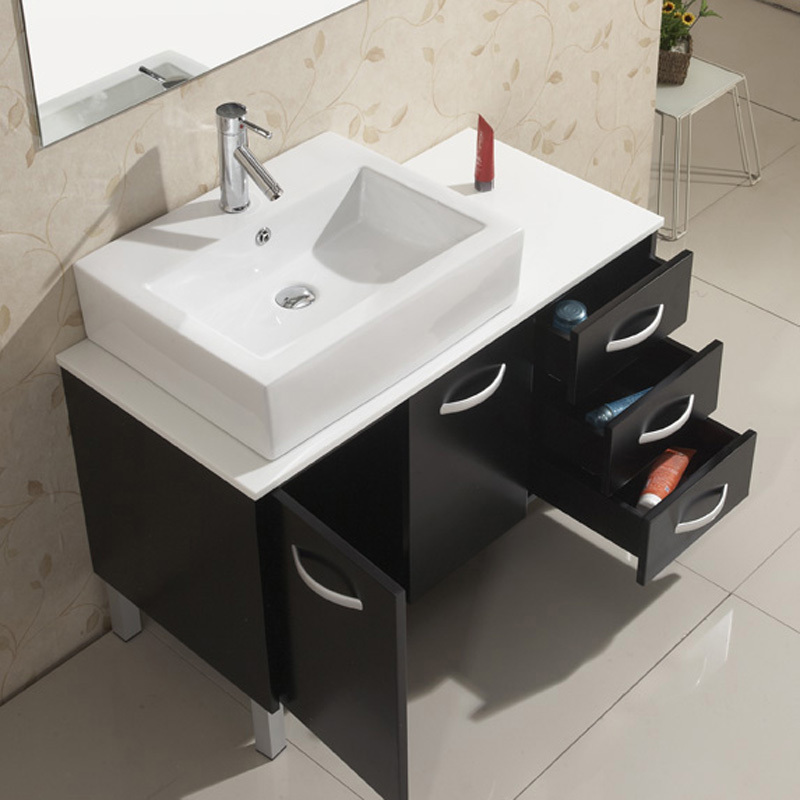 The short design is perfect for modern bathrooms. 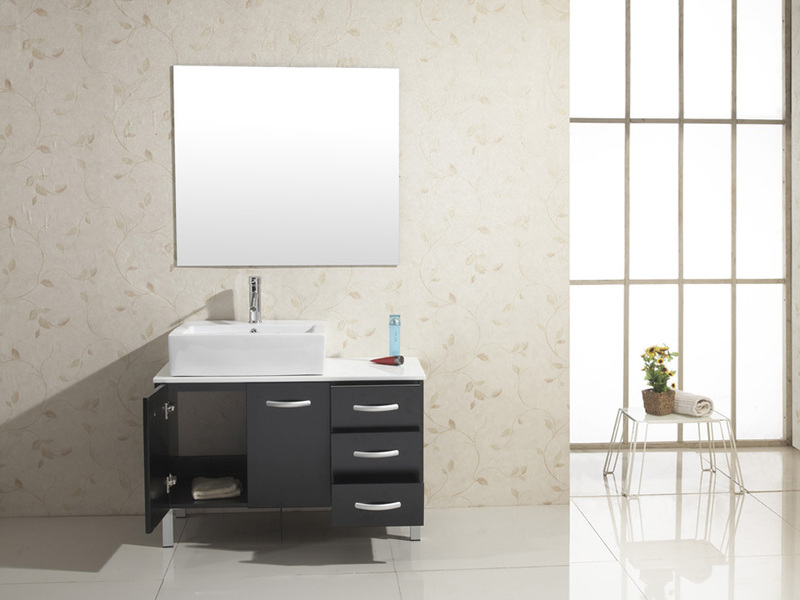 Its simplistic design makes it great for a powder room and makes small rooms appear larger. 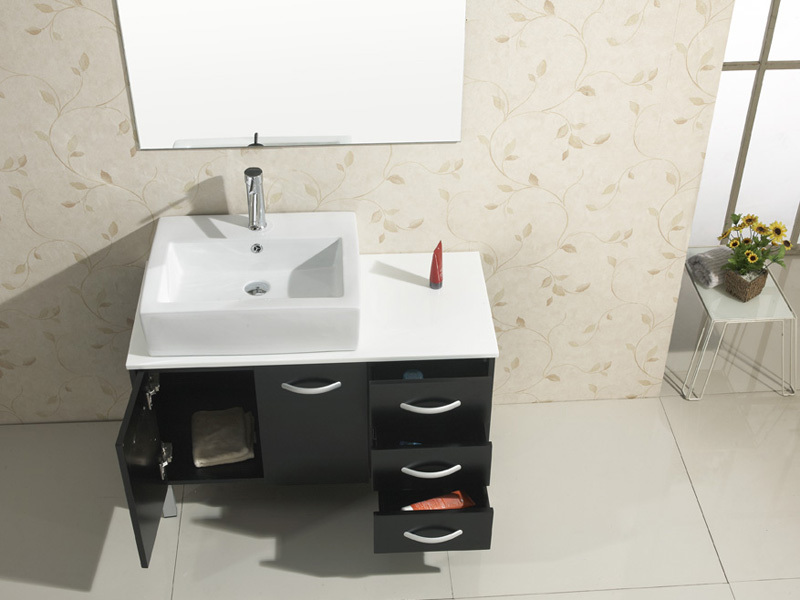 Vanity is made from solid Rubberwood a hardwood from the maple family of woods. 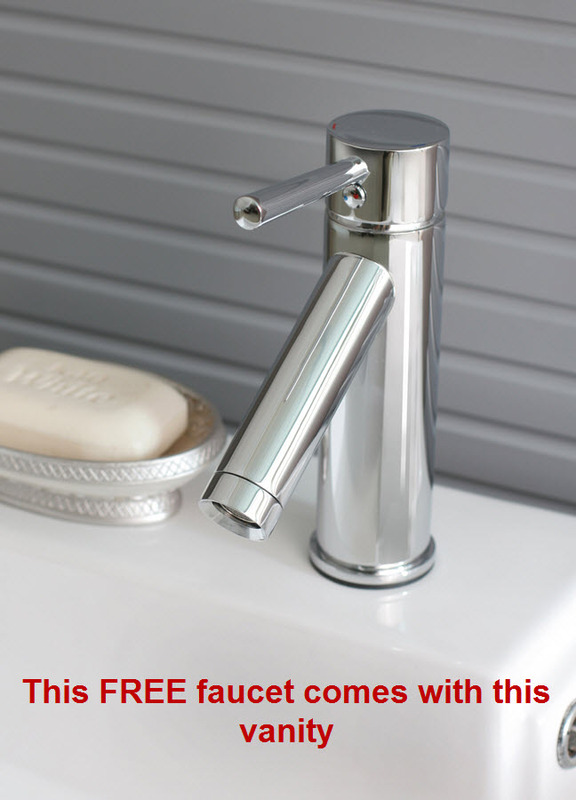 Rubberwood has very little tendency to warp or crack and is Eco Friendly. 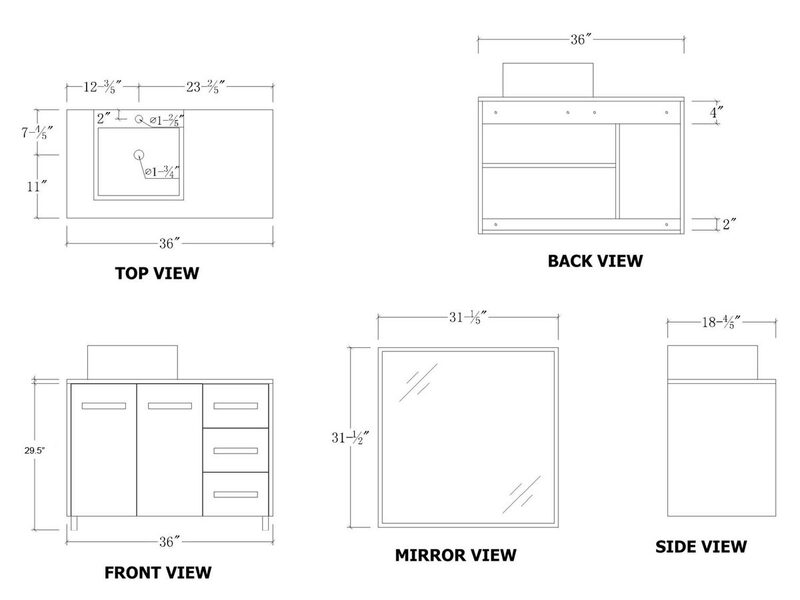 Vanity includes three drawers and two door with shelving.